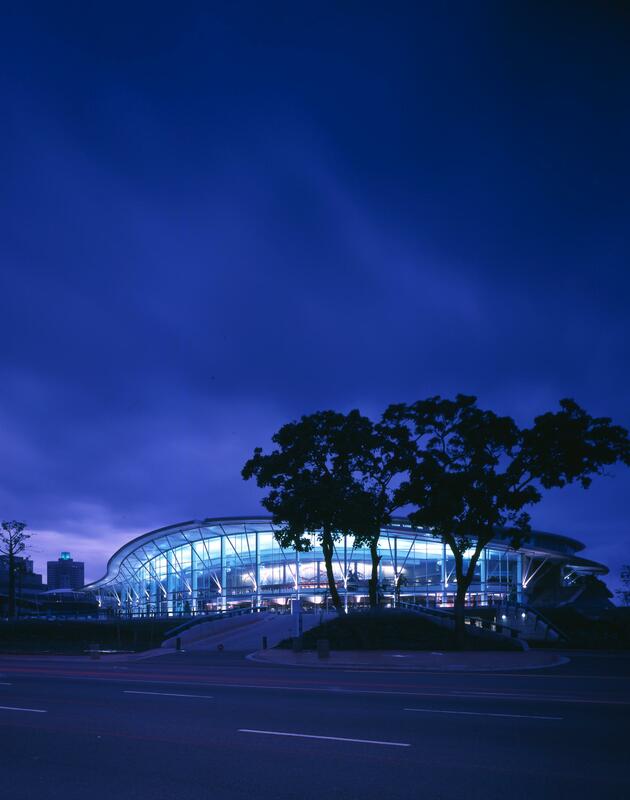 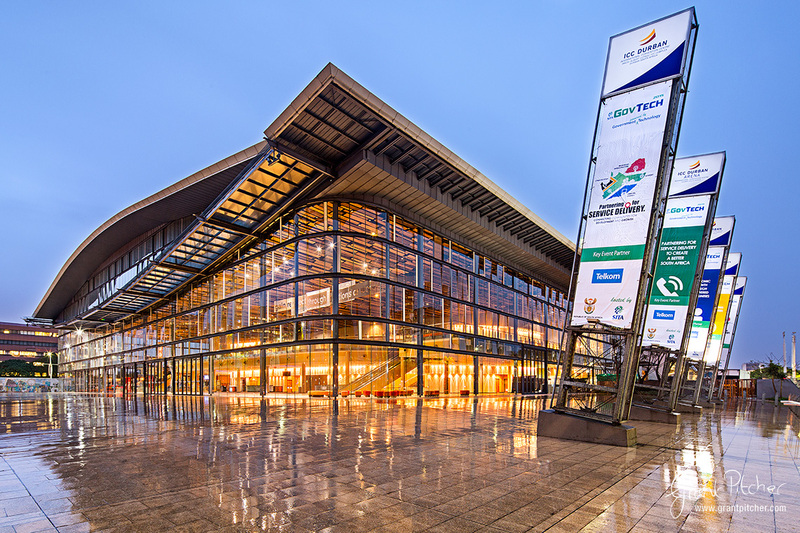 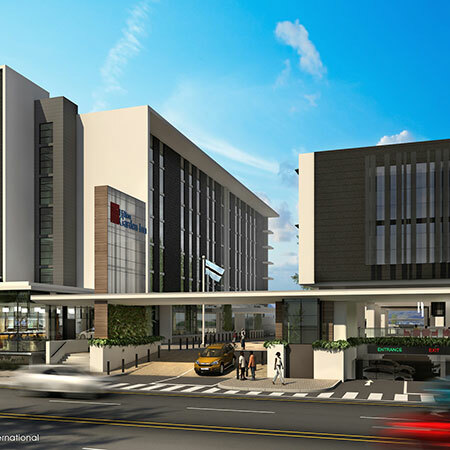 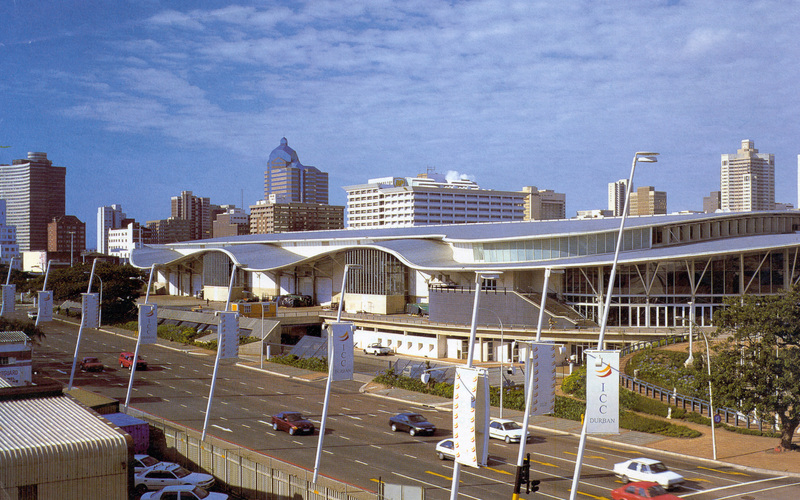 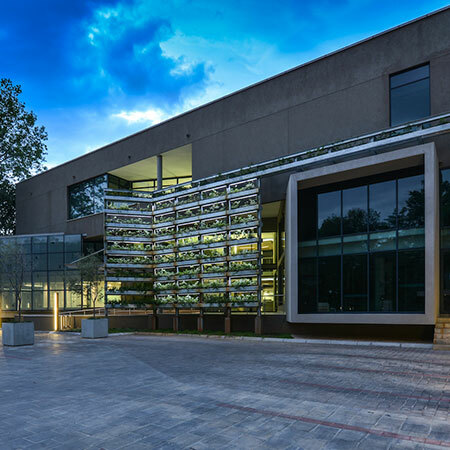 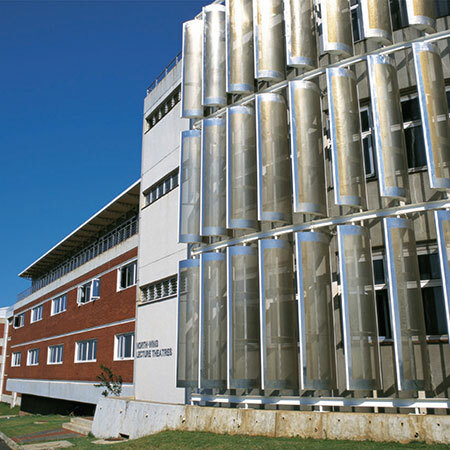 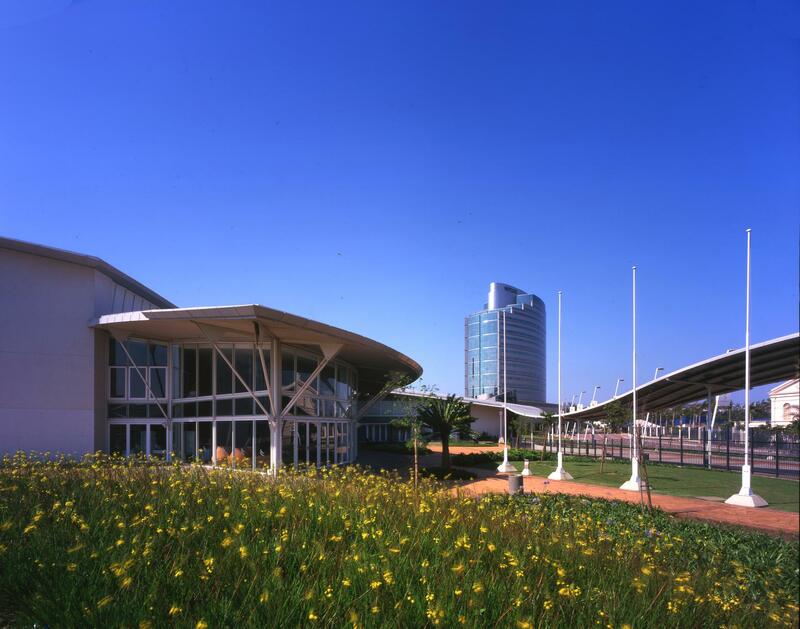 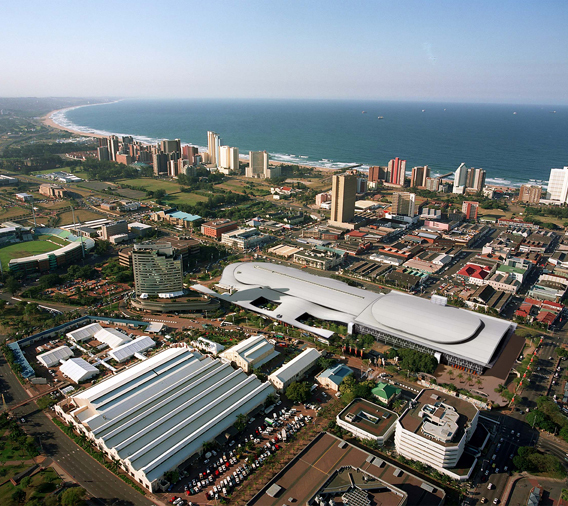 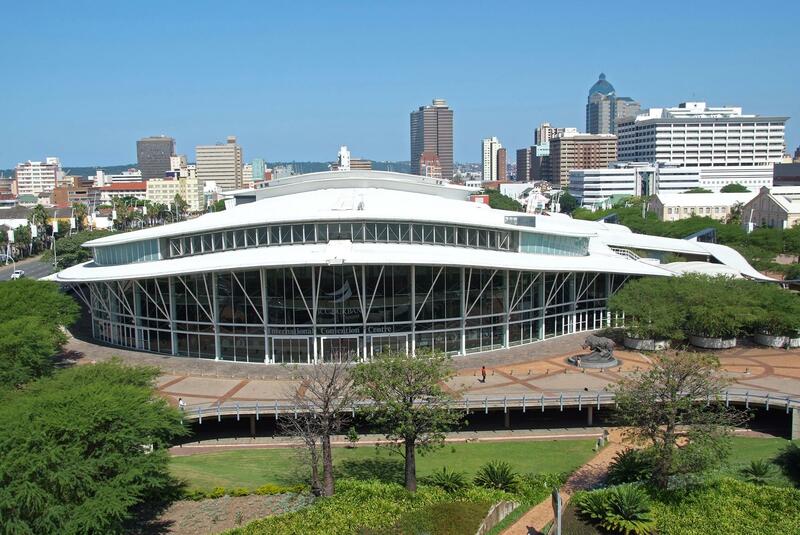 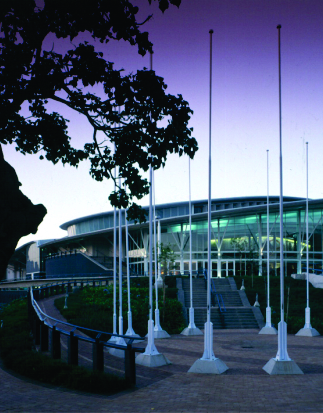 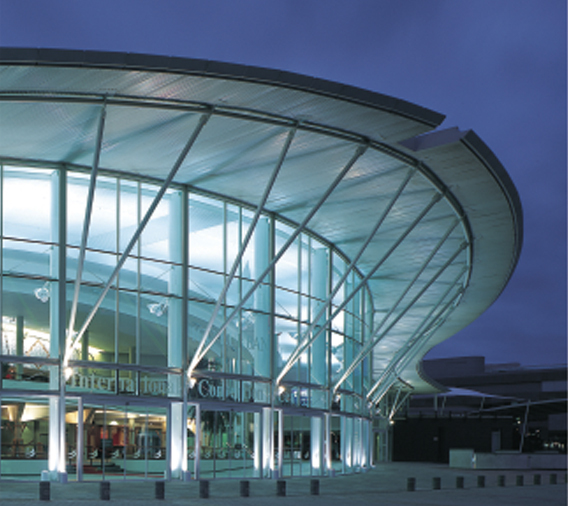 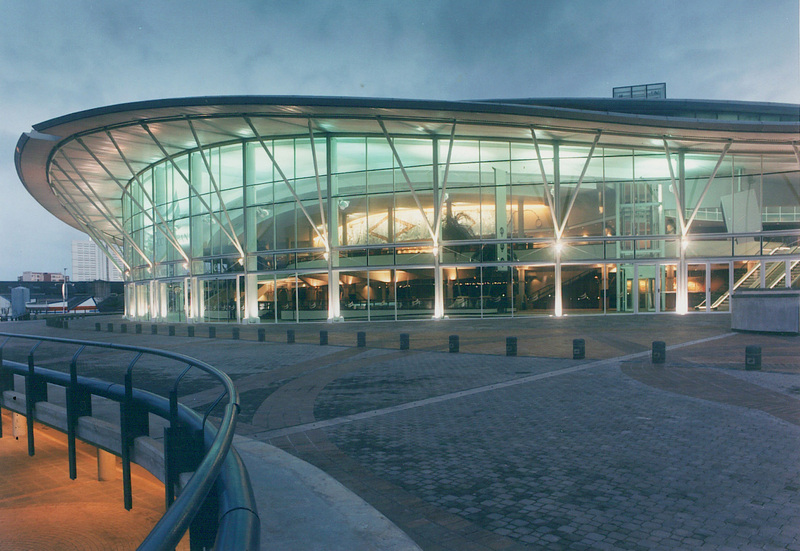 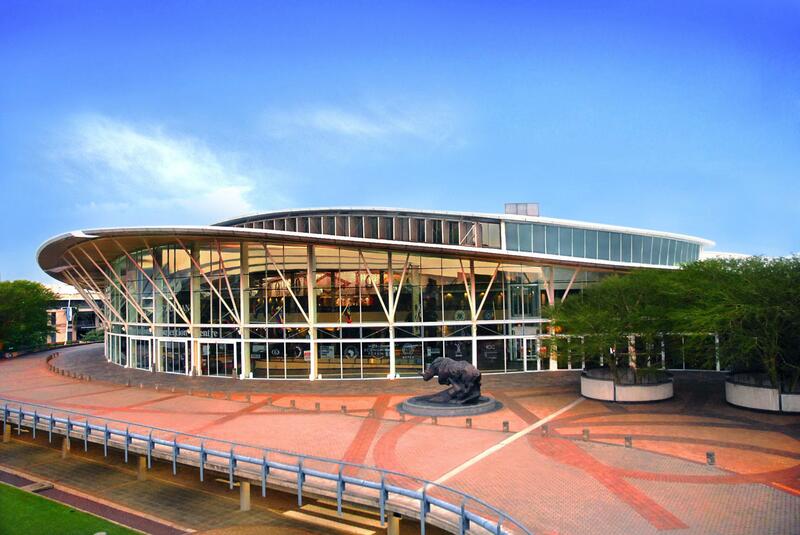 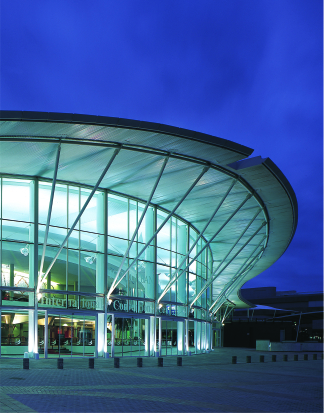 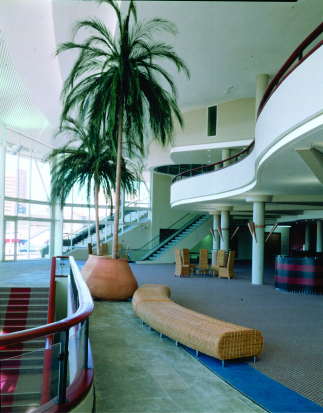 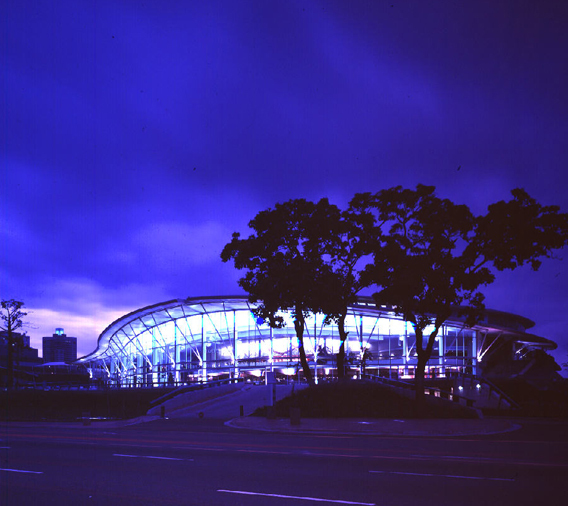 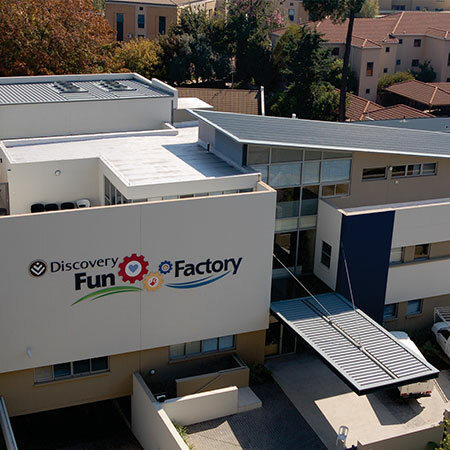 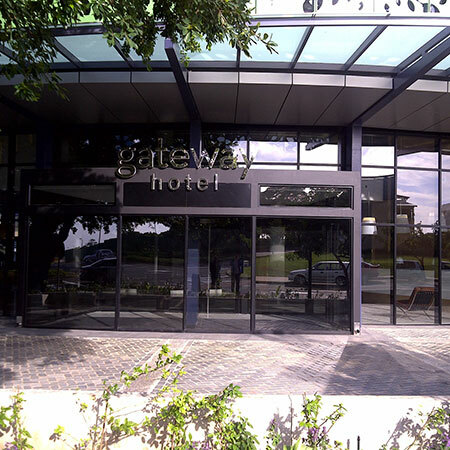 Durban hosted the country’s first international convention centre, a distinctive building located on a site where political prisoners were once incarcerated. 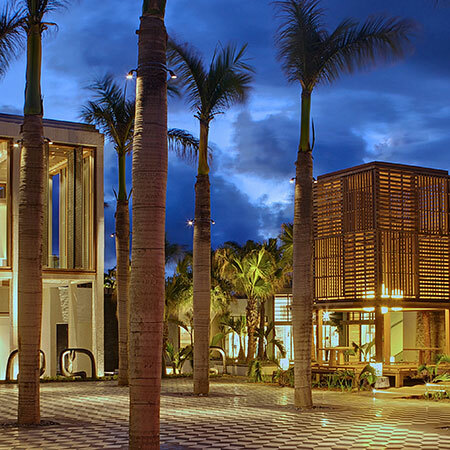 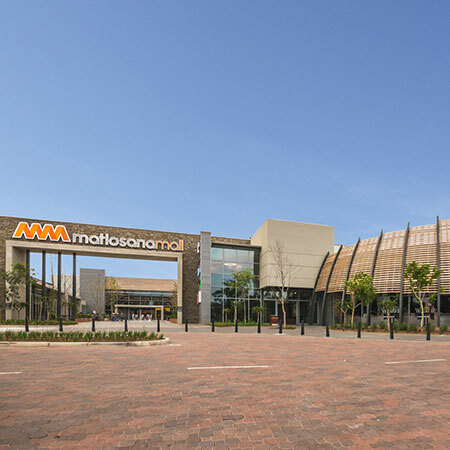 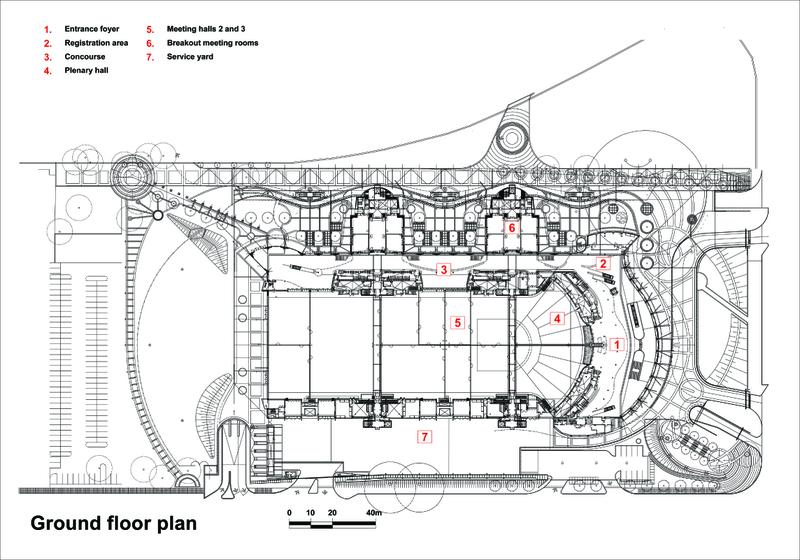 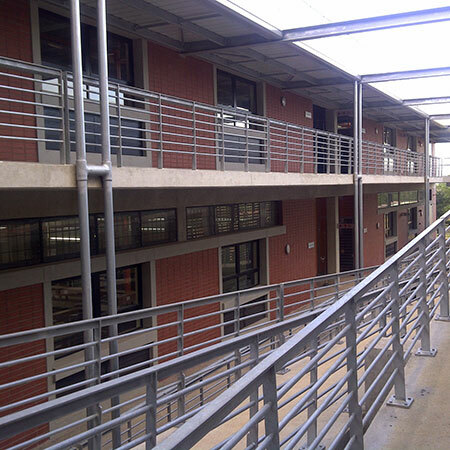 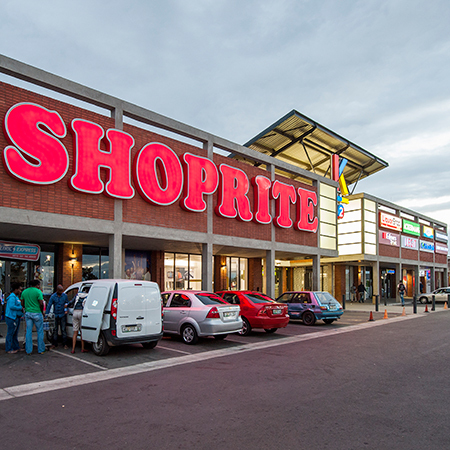 A light-weight, shed-like vaulted roof covers the three major halls, which are laid out in tandem. 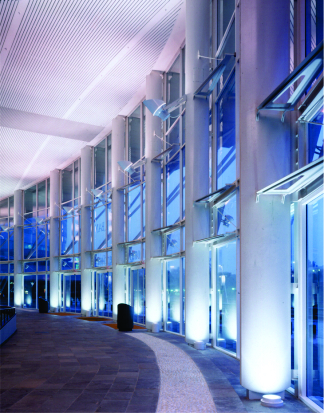 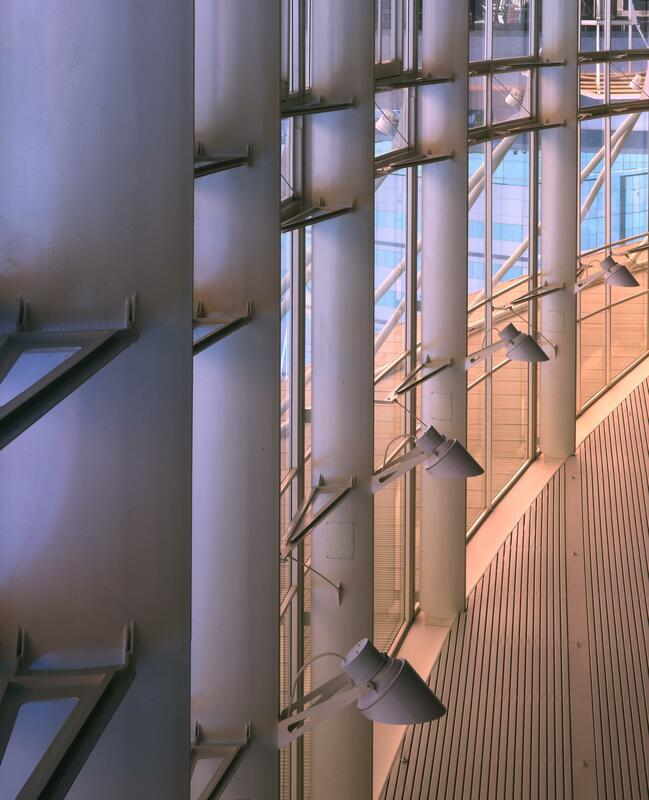 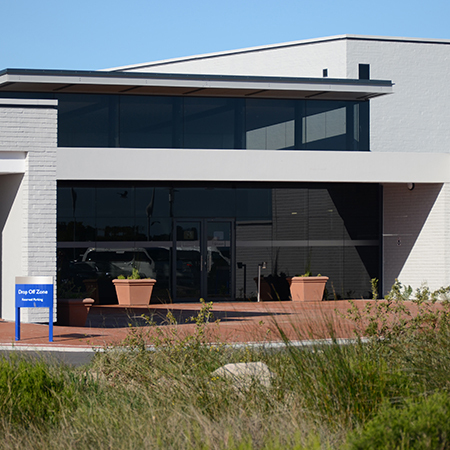 The entrance foyer at the head and the access concourse along one side are wrapped entirely in full-height glass, while the other side of the structure is given over to servicing facilities. 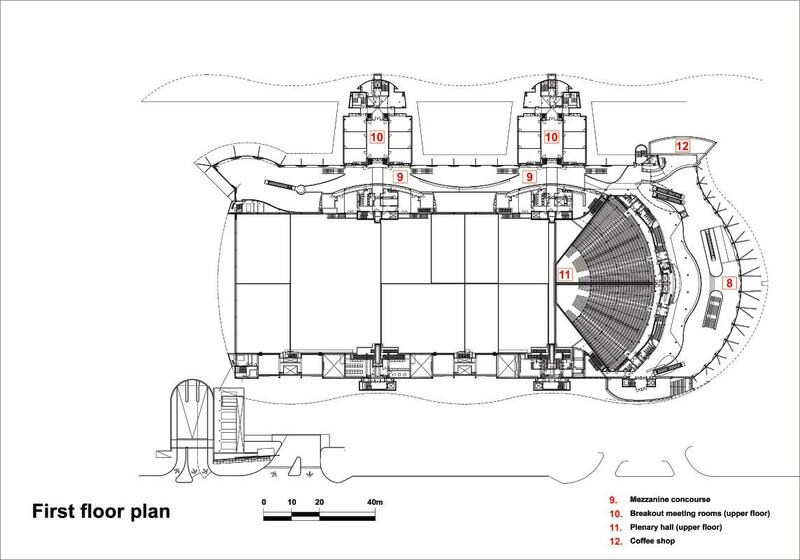 Flexibility of use is enabled by movable wall panels and hinged seating banks in the plenary hall. 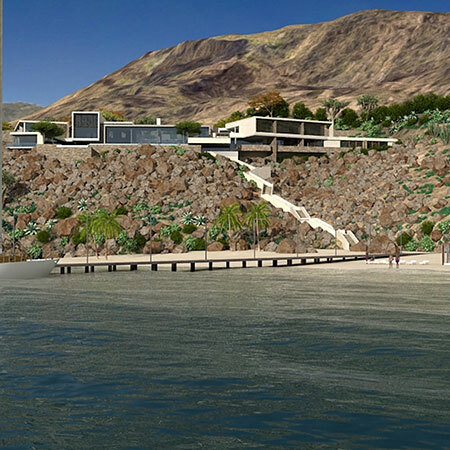 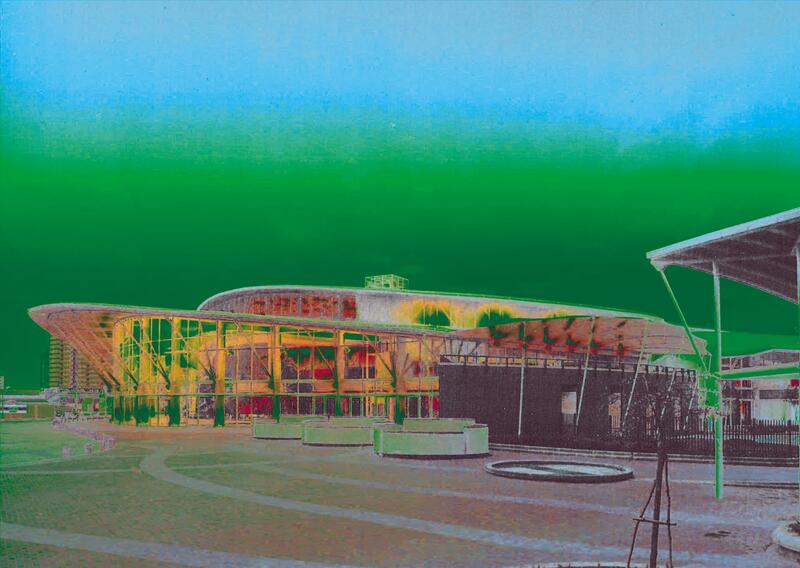 In keeping with the variegated volumes of the space, the roofs of the concourse and service spaces undulate. 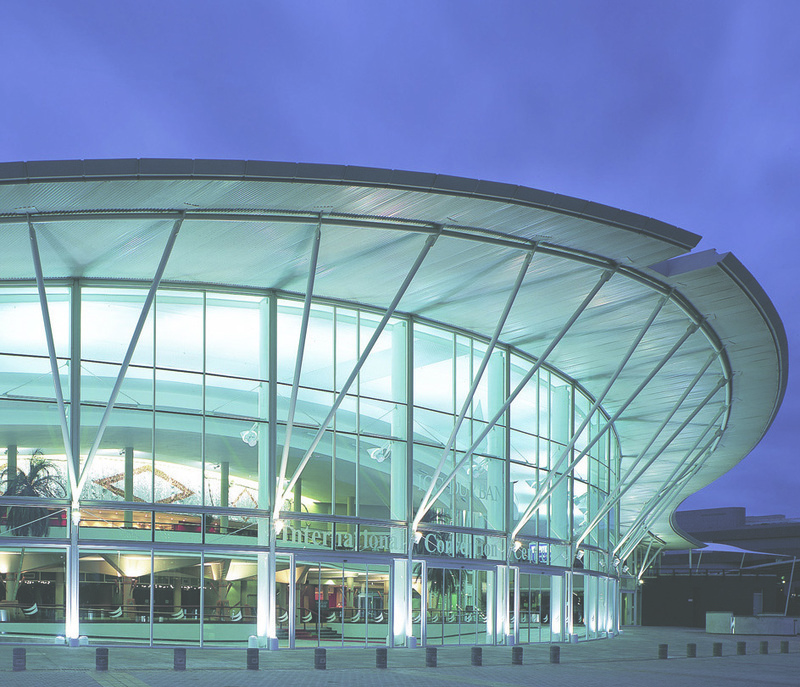 The building was extended in 2006, when a multi-use arena was added to the south end of the building.